Rogers Real Estate Development Limited and Urban Capital unveiled M3, which will be the tallest tower in Mississauga once complete. 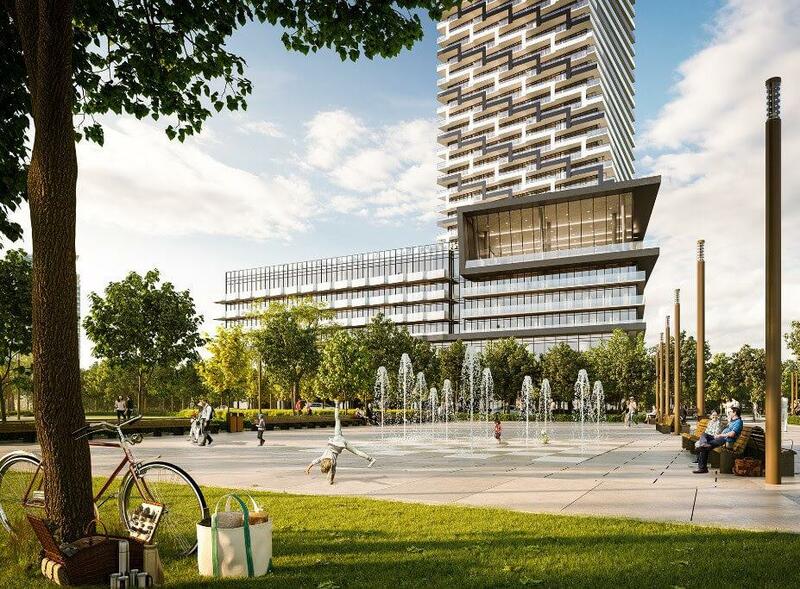 “M City is the first residential development for the Rogers Family and we are thrilled to once again be partnering with the City of Mississauga. Our goal is to develop a world-class community befitting any city in the world. The unveiling of M3 is a significant step towards that goal,” said Edward Rogers, Chair of Rogers Communications, in a release. 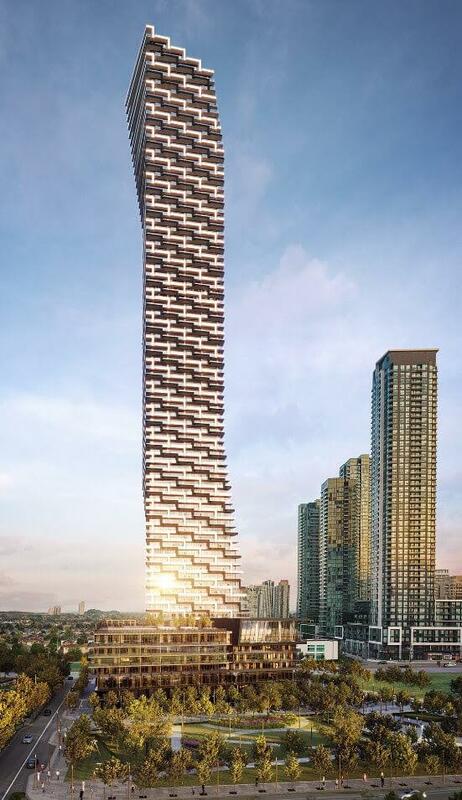 Designed by IBI Group, M3 will rise 81 storeys, featuring a “subtle twist” at the top and bottom of the tower. Two acres of parkland will be located next to the podium, and there will be a wraparound cafe at street level. A couple of the building amenities include an indoor pool and a gym. M3 will feature nearly 900 units ranging from 480 to 1,000 square feet. Currently, 1,570 units at M City are in the works as construction progresses at M1 and M2. The entire master-plan will feature eight towers across 15 acres, creating 4.3 million square feet of mixed-use space. 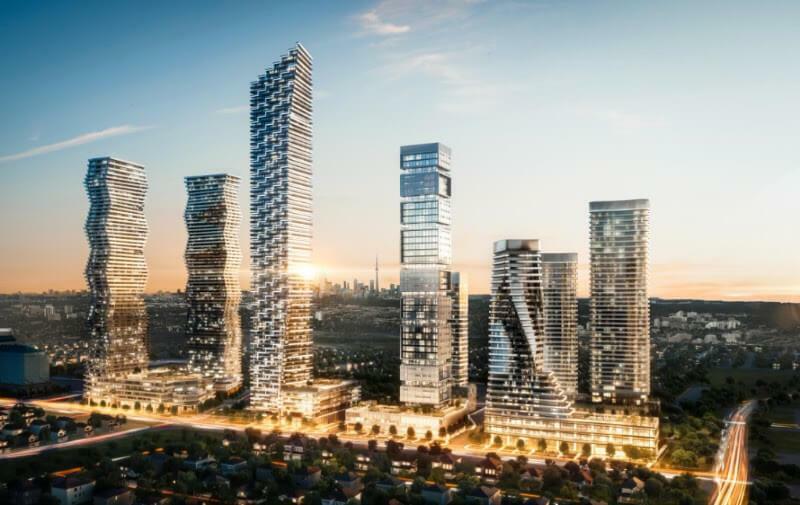 Now that M3 has been unveiled, we can’t wait to watch the Mississauga skyline continue to transform before our eyes.